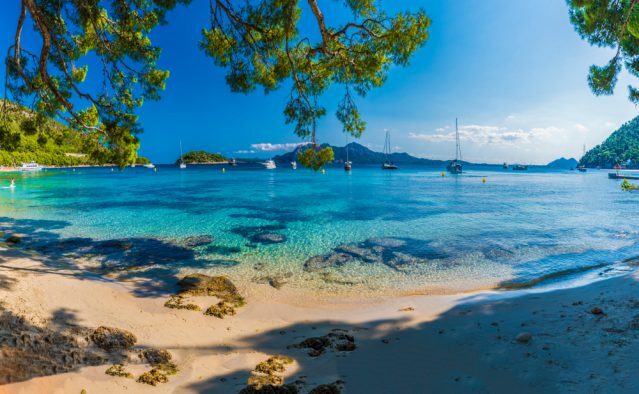 Located off the east coast of Spain, Mallorca is the largest of the Balearic islands. You will be amazed by the wealth history, sensational beaches, crystal blue coastline, azure views, and craggy mountains. Palma de Mallorca, the brilliant capital city of Mallorca with its location offers an incredible spectrum of things to do and places to see. One day is barely enough time to explore all that the city has to offer. With its rich culture, entertainment and gastronomy, it is an attractive place for worldwide visitors. 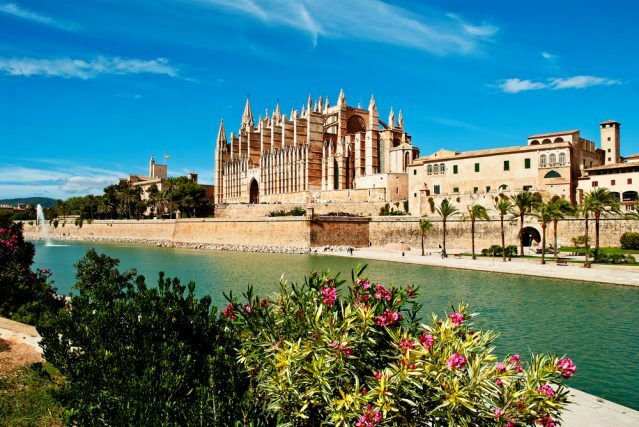 Check out our complete Mallorca travel guide 2019 and head to the breathtaking Palma De Mallorca. When in Mallorca you must visit the cosmopolitan capital city Palma, where you will be surprised by its rich and authentic history. Here are some of the places that deserve to be visited. One of the most popular buildings in Palma de Mallorca is the Cathedral of Palma. This elegant Gothic cathedral is impossible to miss as it is in the heart of the city. Visit this monument in the morning and you will be astonished by the light that is streaming through the gloriously stained glass windows, which are 61 in total. Another attraction that you need to visit is the Bellver Castle, which dates back to the 13th century. Lovely castle on the hill with awesome panoramic views. It is three kilometers from the memorable center of Palma De Mallorca. A round caste with very interesting architecture. When in Palma de Mallorca take the time to visit the Arab Baths (Banys Arabs), an antique bathhouse dating back to the period between 10th and 12th century. The baths are not very large but, they will definitely charm you. What is great about this place is the inner garden with lots of plants, offering incredible views. Mallorca, a place where you will find any type of beach, from golden to stony. Regardless of their popularity with visitors, most beaches are well-kept and rest soundless. 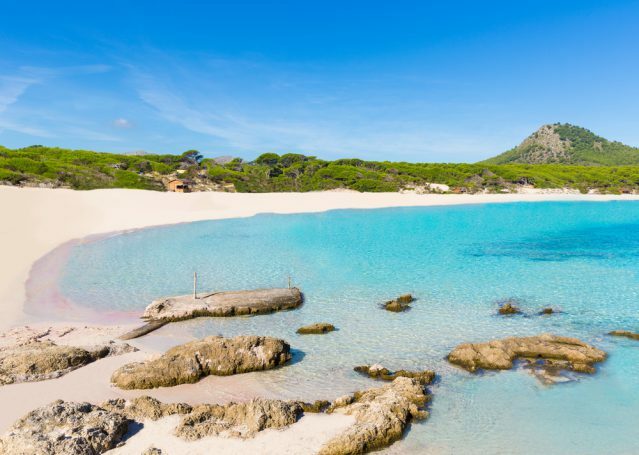 Here, we listed our favorite beaches in Mallorca. Find the perfect Palma De Mallorca beach for you. Located at the most northerly part of Mallorca, Cala Formentor is one of the most gorgeous locations on the island- that is why it is so extremely popular. The most amazing thing about this beach is its ambiance- surrounded by one of the fiercest and most sensational landscapes, with thick pine forest. Cala Formentor is a one-kilometer-long beach, enclosed with lean, white sand and bright green-blue water. Here you can find two restaurants and a small souvenir shop. Portals Vells is a remote quiet and peaceful cove beach at the southern part of Mallorca. The beach is relatively small and is well-known to locals and families. In the sandy cove with aquamarine water, there are several caves to explore. There is a booth with refreshments and small restaurants. Due to the small size, there are fewer crowds. The water is excellent for snorkeling and diving. Tourists, especially British and German come to enjoy the beauty of this beach and its limited space that keeps crowds away. The best thing when you are on holiday is the time when you can try new mind-blowing and delicious dishes. Be sure that Mallorca’s food with its fresh items, regionally raised pork and many types of fish will satisfy all of your flavors. 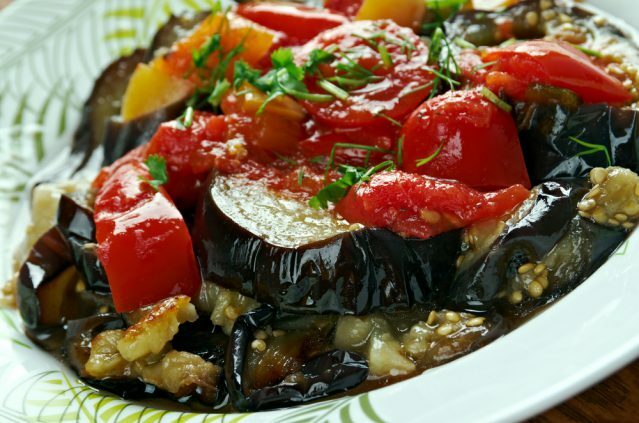 Every Spanish region has its own rice dish and Mallorca is no exception. It is called Arroz Brut, traditional rice with vegetables and meat. It is a mix of spices such as paprika, saffron, pepper, cinnamon, and nutmeg and is served in the hot stock. One of the most typical bites in Mallorcan cuisine is the cocoa de frampó which is very similar to Italian pizza. It is bread prepared with olive oil and flour, with different flavors such as red peppers, green peppers, tomatoes, onion, and paprika. Great dish to enjoy for lunch on a hot day in Mallorca. Coca de Cuarto is a traditional pastry of Mallorca, a sort of light, sponge moist cake. It is very tasty, made with eggs, sugar, and flour, including lemon, orange, and chocolate. Usually, people eat it for breakfast, however, it can be a perfect bite for an afternoon break at some of the Mallorcan cafés. Mallorca is a splendid holiday destination for you to take a break, relax at the stunning beaches of Palma De Mallorca or taste some delicious food. You can fly into Palma de Mallorca airport from anywhere in Europe. So, wait no more! Book a flight and check some of our beautiful beach villas for lots of memorable moments.